THIS COMPETITION IS CLOSED. The winners were selected at random. They are ‘Pete’, who nominated Stony Point, and ‘David Walker’, who nominated Fairfield. 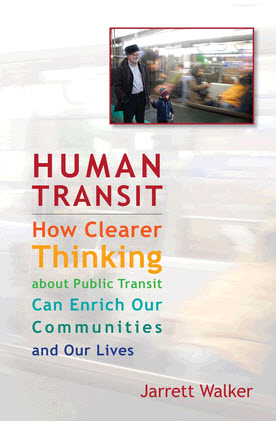 Thanks to NewSouth Books for making two copies of Jarrett Walker’s new book, Human Transit: How clearer thinking about public transit can enrich our communities and our lives, available for readers of The Melbourne Urbanist. Public transit is a powerful tool for addressing a huge range of urban problems, including traffic congestion and economic development as well as climate change. But while many people support transit in the abstract, it’s often hard to channel that support into good transit investments. Part of the problem is that transit debates attract many kinds of experts, who often talk past each other. Ordinary people listen to a little of this and decide that transit is impossible to figure out. This is a major event for anyone with an interest in transport. Jarrett is known to many of us through his international consulting practice and through his famous transit blog, Human Transit (I think the word eponymous would fit in here nicely in relation to his book). To be in the running to win, all you have to do is nominate your favourite rail station, tram stop or bus stop in Melbourne. Submit your entry below, using the Comment box at the bottom of this page. Entries close in two weeks at midday Saturday, 17 December 2011. One entry per person and I’ll only post within Australia. And the odds are much better than Crown! As always, the quality of your nomination has absolutely no bearing whatsoever on whether or not you’ll win. The winner will be determined at random. However, explanation is encouraged and, while they’re not mandatory, so are wit and flair. If you’re really at a loss and don’t care what the world thinks of you, it’s acceptable to nominate “Darebin station, Hurstbridge line”. You can order an advance copy of the book direct from NewSouth Books and get a 20% discount ($31.97 – that’s cheaper than Amazon even before taking postage into account!). Remember, you enter on this page, using Comment Box below. mordiallic. not many train stations in the world are a 3minute walk to a beach. Southern Cross Station, because that’s my Welcome-To-Melbourne Station when I visit. I’ve already ordered a copy of the book, so don’t want to win but I’m going for Lilydale, as the start of the rail trail to Warburton and I walked that once and then got lost up in the Yarra State Forest for a few days more and it was bliss, except for the leeches. Newmarket on the Craigieburn line. Nice buildings, shops nearby. Richmond station because you can see the mcg and nylex like Paul Kelly says! My immediate thought of a pleasurable public transport stop was Wahroonga Station on Sydney’s North Shore – flower bedecked and clearly cared for. Much as I tried to conjure up a pleasurable memory of a stop in Melbourne, my memories are all of places to be endured because of traffic noise, fumes, weather, and the tedium of waiting. I can’t claim to know all stops in Melbourne, but of those I do know, I rate Hawthorn Station most highly. It’s tucked down from Burwood Road so traffic noise is minimal, it has an outlook to the street to the east, it is both spacious and snug, and the buildings are unusual, consistent in form, interesting and well cared for. I also like the tram stop at St Kilda junction for some reason! Perhaps it’s the amazing graffit murals. Flinders Street Station, it’s the face of Melbourne to me. Stop 129 right near a coffee roaster’s, I can smell the delicious aroma whilst waiting for my tram – I hardly need to drink a coffee in the morning! Flinders street station. I love the gritty old bits of the station. I hope they don’t renovate it because it’s guaranteed to be destroyed in the process. The art of beautiful building is long dead. Syndal Station, on the Glen Waverley line but more so for the memories of going into the city as a little kid. It’s the typical timber railway station, that’s far more function over form, with it’s surrounding carpark, and concrete ramps. But my favorite station of all would have to be Maryborough in Central Victoria. It’s an amazing example of what rail used to be in it’s heyday. Regional Victoria has some amazing rail stations dotted all over the place, some where there isn’t really a town anymore. Flinders St for me as well. Pleased to see they are spending some serious money on getting a workable design for future redevelopment. Michael – fingers crossed it isn’t destroyed and becomes a thriving space again. My daughter tells me she was very taken with Geelong station. The Middle Park light rail stop, which incorporates the fabulous Mart130 cafe, or perhaps Windsor Station which – last time I was there – had a lovely cafe in the old station building. Hmmm … I’m detecting a theme here! As in Werribee, Hoppers Crossing, Aircraft, Laverton. Surely there is no better or more ironic name for a railway station than….Aircraft. My local, Fairfield. There’s always friendly staff in the morning. Good coffee across the road for the mornings the train is delayed, shops are just nearby so getting some groceries before making the walk home is easy and of course FIDO always makes me smile, especially when he barks, meows or clucks like a chicken. Oops, I forgot to mention that whilst I felt the need to mention Fairfield. I don’t actually want to enter the competition. I’ve already won one book from this great blog, and I’ve already ordered a copy of the book so it’d be better off in anothers hands. Melbourne has many beautiful stations and so it is pretty hard to choose. I have just moved to fairfield and its great. Nice old station, close to shops and cafes. Toorak station, for the fact it’s really in Armadale and the myriad ways in which it could connect well with the nearby bus and tram routes, but doesn’t. And that it looks great (along with all the other heritage stations on the network). Oh Footscray should get points for the “could work really well, but doesn’t with other modes” category as well. I always loved getting off the train there, checking at one stop when the bus to Highpoint was coming, then checking the other stop that also went to Highpoint to see the bus pulling away. That was always really helpful! Heidelberg train station – always bring back fond memories of seeing all these beautiful Heidelberg School paintings, my travel to the real Heidelberg in Germany years ago. Last but not least, always feel safe when I am standing on the platform waiting for an incoming train, thinking that if I suddenly feel sick or my wife is giving birth at any moment: the Austin Hospital and the co-located Mercy Hospital for Women are just opposite the station. Soon, there is the Olivia Newton-John Cancer Centre joining the health complex. See Heidelberg train station is both romantic and practical. Box Hill ‘multi-modal interchange’. One of the rare centres in the middle ring suburbs that is served by tram, train and bus. My favourite train station would have to be Parliament! Despite the crowding in the morning peak, I love the blue colours and the excessively long escalators! Right at this moment, the tram stop on Swanston Street opposite the library. For the amusement value provided by the referees, the opportunity to see the “sinking library” sculpture again, and the curiosity of observing how the dynamics of the shared cycle-path/tram-loading-zone unfolds. Love the sinking library – it always reminds me of Planets of the Apes for some reason! I’m a Sydneysider originally, but I just moved to Melbourne from London in January, so every tram stop is still a fascinating novelty for me. In fact, as I don’t drive (age 46 and never had a licence), I value every single train, tram and bus stop in the city. Great entry Adam – if winners were determined on content, you’d be a leading contender! However, you’ll have to settle for recognition because the winner is determined at random (still the odds are amazingly good so you could easily get up – about 13:1 at present). Fairfield has a lot to recommend it, as described by Julian above. Seaholme. A single platform shaded by big date palms. The heady mix of sea air mixed with petrochemichals keeps you alert while waiting for the Werribee. Any, all and every recently installed superstop. Think of it from the perspective of the disabled. A massive positive change. The second stop on the number 8 tram route Toorak to Moreland stands out. It’s all of about 140 metres after the first stop, in one of the least densely populated parts of Melbourne. It’s a favourite – of a sort – it illustrates an important lesson about how PT should be designed. Moonee Ponds Junction! So many buses, a couple of trams – SO MANY OPTIONS! Don’t forget the doughnuts! Best damn doughnuts in the city. It shows what a combination of security (it’s staffed), reasonable faclities (shelter, toilets) and an excellent, frequent, fast bus service could do to transform transport in Melbourne’s suburbs. And all for a tiny fraction of the cost of a rail line to Doncaster as well! Stop 7 – Victoria Market.. it’s my last chance tram stop to decide whether I take the 57 or 59 home! Dennis. I love hearing the announcement for that one on the way home. I think there is some kind of pause at the end of the recording of the name that just makes it sound very awkward. 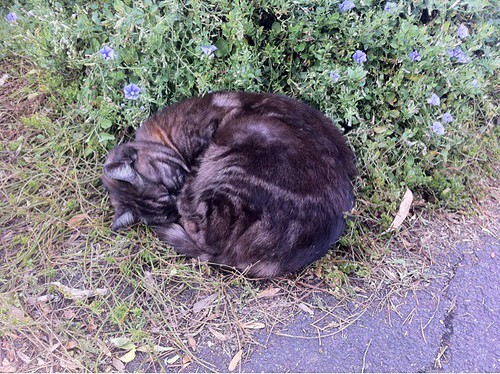 Also there is a cat that I have seen there that apparently boards the train – lovable little fare evading scamp. Heidelberg Station – its where I get off to go to garden at my friends house in Bulleen. Williamstown Station: I got marooned there with a broken bicycle the day after the line was Kennetted. Very pleased that it’s back in the system and I won’t get stuck again (unless it gets Baillieu’d). I always like Essendon Station as a kid because as a hub it worked very well, it had trains, busses and a tram nearby, yet it looked like a stately old building after the morning and afternoon rushes, there is also something quite mysterious about the wide old underpass and winding up the ramp to the platform above, less risk averse in those days I guess. Tram stop : Acland st, St Kilda – no 96 because of the bumble bee ! Train st : Mt Waverley St., Glen Waverley line, conveniently located opposite the library thus ensuring travellers a nice clean toilet is available at the end of the trip. Parliament, Great architecture, the underground foyers don’t feel underground at all. Don’t change it, but maybe extend the pedestrian subways to cross Lonsdale and Bourke St. Designed by Peter McIntyre, http://en.wikipedia.org/wiki/Peter_McIntyre_(architect). Just compare it to Flagstaff and you will know what I mean. Glenferrie – and indeed several stations around this one on the Belgrave/Lilydale line. Just love the redbrick buildings of old. Timeless, functional and beautiful. Victoria Park – because I love the name! Albert Park stop – only a few minutes from the city, but less traffic and more trees.